This time of year, I always love a good ole cup of hot chocolate. The Lion goes absolutely bezerk at the mere mention of hot chocolate, clapping his hands, chanting and pretty much doing a full on happy dance. When he gets a cup of hot chocolate as a treat, he pretty much pounds the entire cup in like 10 seconds. It’s both frightening and amazing to watch!! 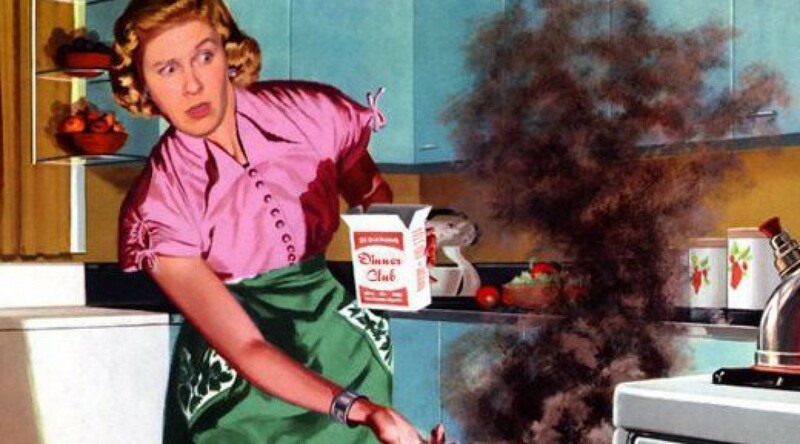 I haven’t been doing much cooking lately because i’ve been taken out by what feels like the plague for the better of 2 weeks now. At one point I sounded like Dorothy Zpornak from the Golden Girls, then I lost my voice, then I had the chills and then I had a nasty cough. 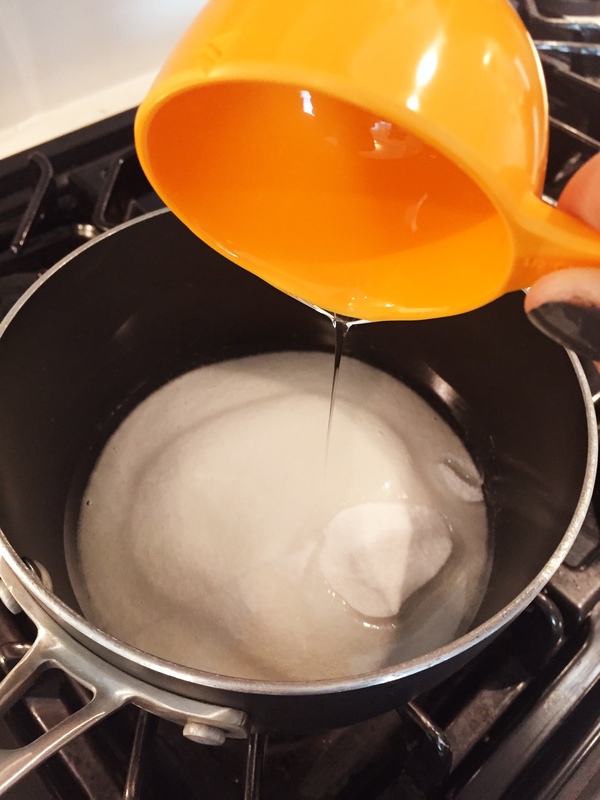 It’s finally clearing up and I feel like I have my mojo back and I want to tackle something that I have always wanted to make…Homemade Marshmallows! When I see those fancy little minxes at the grocery store for like 8 bucks for 10 marshmallows…I kinda drool but also started to think that they must be super hard to make if they are that expensive. Then I started doing to some research and it kinda looked easy to recreate so i’m gonna do this. I’m gonna show that hot cocoa who’s boss and saddle a cup of deliciousness with some next level little pillows of goodness. Alright, all you really need to do this is a few basic ingredients: Corn Syrup, Sugar, water and unflavoured Gelatin. Then if you want to fancy them up, you can use other flavourings such as cinnamon, peppermint, vanilla etc. 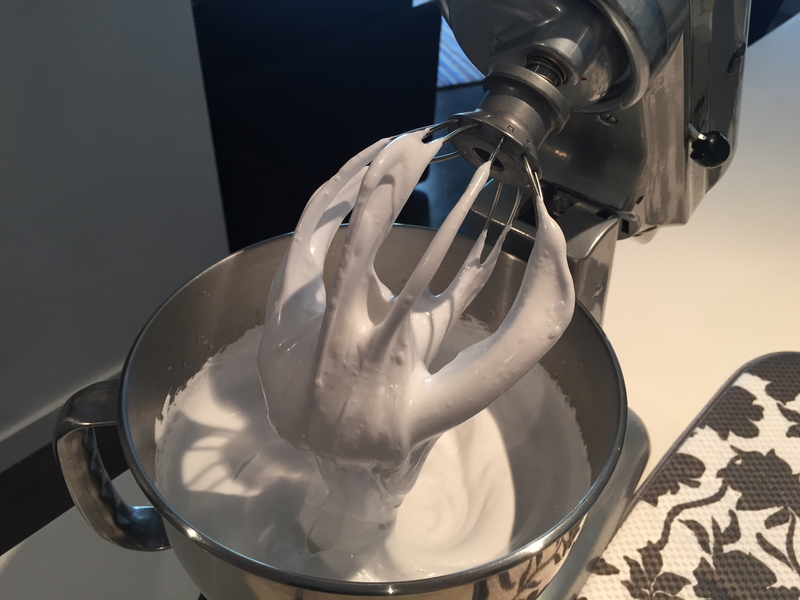 You really do need a stand mixer to do this. If you want to try doing it with an electric hand mixer, knock yourself out but I wouldn’t recommend it as it needs to whip for a long time. 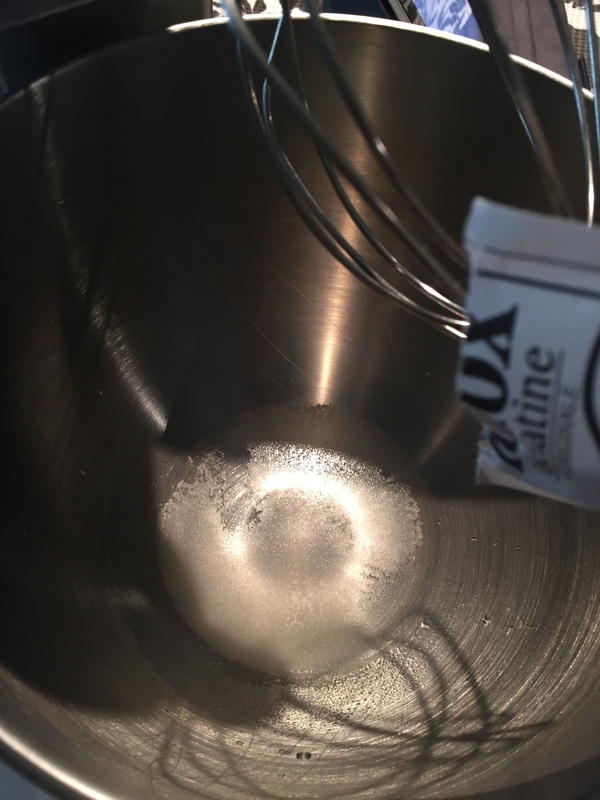 First make sure your stand mixer is fitted with the whisk attachment and then pour in half a cup of water and then sprinkle the gelatin in to the water. Set this aside (forget about it) and let the gelatin and water have a chance to get acquainted. Next you are going to put your corn syrup, sugar , salt and a 1/2 cup of water in to a sauce pan on high heat. Bring the mixture to a rolling boil and continue to boil for 1 minutes. Remove it from the heat. Please Please Please, be careful. This son of a gun is UBER hot!! This is not a recipe you want your kids helping you with because one wrong move and someone will get hurt. I did this on a day when my lion wasn’t around!! Now, because I am clumsy and kind of a scare-dy cat, I decided to pour this molten lava mixture in to one of my large glass measuring cups so it would be easier to pour in to the stand mixture. I honestly didn’t think I would do well if i just poured the pot in to the stand mixer bowl. If you can, go for it and RESPECT!! Turn your mixer on the lowest setting and let the gelatin and water mix together a few times so that the gelatin is combined with the water. Now you can slowly add your hot sugary mixture to the stand mixer. Pour it gently down the side of the bowl (see why that measuring cup with the pour spout came in handy???) and keep mixing on low. 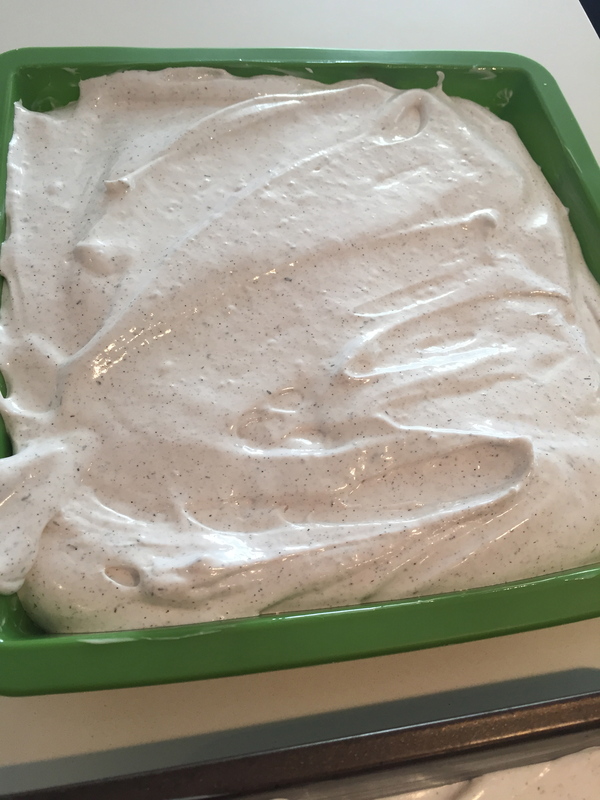 Now turn the mixture to high and whip that deliciousness together for a good 12 minutes or until you see the marshmallow batter become ginormus…like 3 times the size of what you started with. It will become super thick. *If you need to scrape down the sides of the bowl with a spatula, do so as this will prevent the marshmallow mixture from overflowing as it grows. Turn the mixer off and then decide what kind of flavouring you want to use. 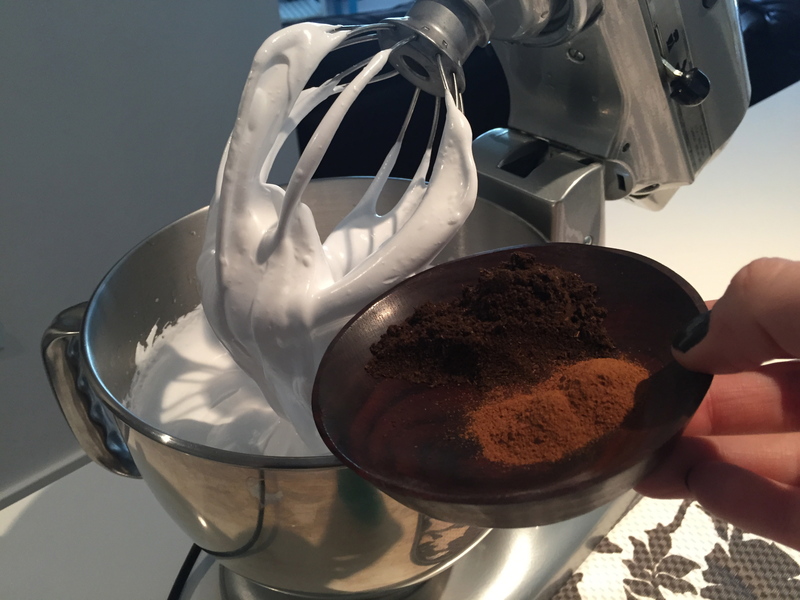 Today I decided on vanilla (both pure vanilla and a mixture of vanilla bean powder…my newest obsession) and a nice amount of cinnamon. 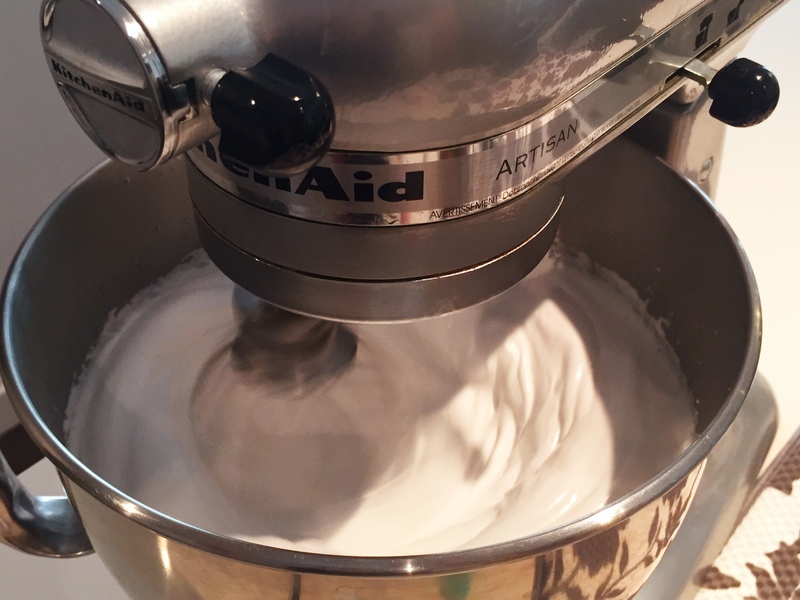 Turn the mixer back on and whip gently to combine all of the flavouring in to the marshmallow batter. Now you want to transfer this delicious batter in to a greased (with butter) baking pan. Use a spatula to spread it evenly in your pan. You have to be wicked quick here as the mixture starts to set quick and it gets tougher to work with. Now you want to butter/grease a piece of plastic wrap and lay it over top of the marshmallow. Press down firmly on the plastic wrap to seat it smoothly and tightly against the mixture. Let the marshmallows set for 4 hours or overnight if possible. *I didn’t touch mine until the next day because they would just be too sticky and too soft if I cut them too early. 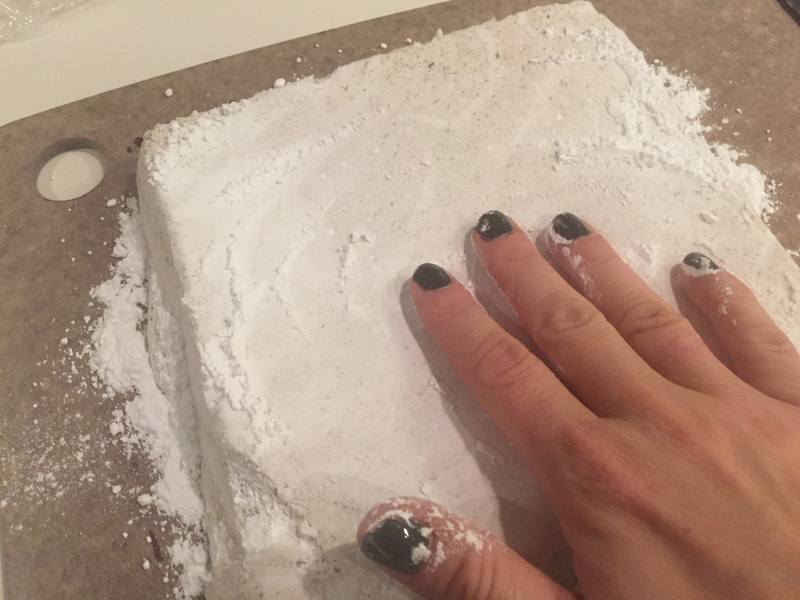 Next day, I put a good handful of icing sugar down on my cutting board and then I popped the marshmallow slab out and on to the icing sugar. If you need to loosen the marshmallow, just use the dull part of a knife along the sides to loosen the marshmallow. Rub more icing sugar all over the marshmallow slab. Now take a knife and cut in to nice sized squares. If you have some cool cookie cutters, you probably could do some shapes too. I just kept it simple. Cut in to nice squares and you are a domestic goddess instantly!! 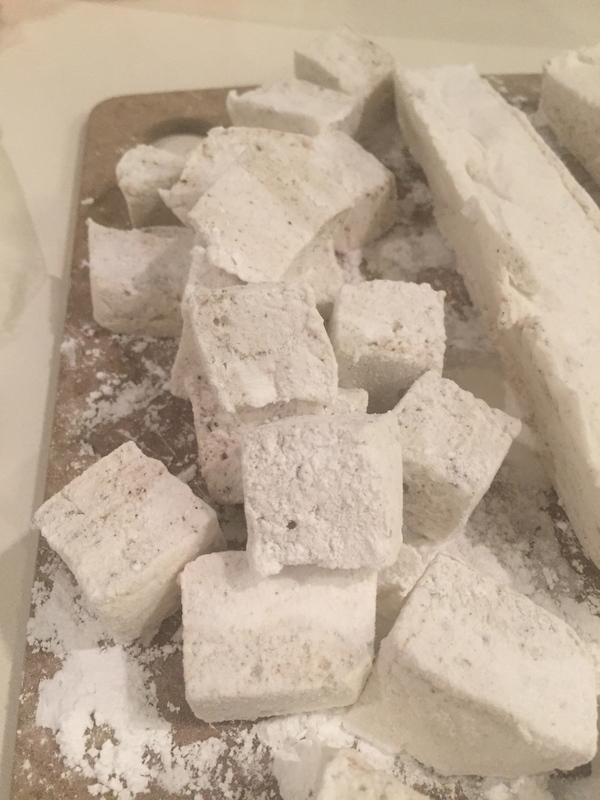 And there you have it…homemade freakin’ marshmallows!! SNAP!! 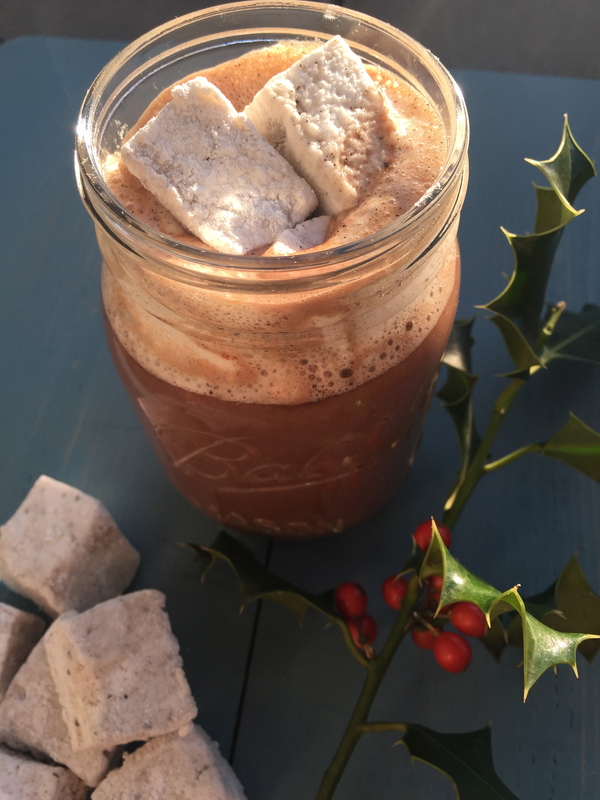 I made an amazing Salted Hot Chocolate and added these marshmallows…WOAH!! *Adapted from Butter Baked Goods…”moodified”! 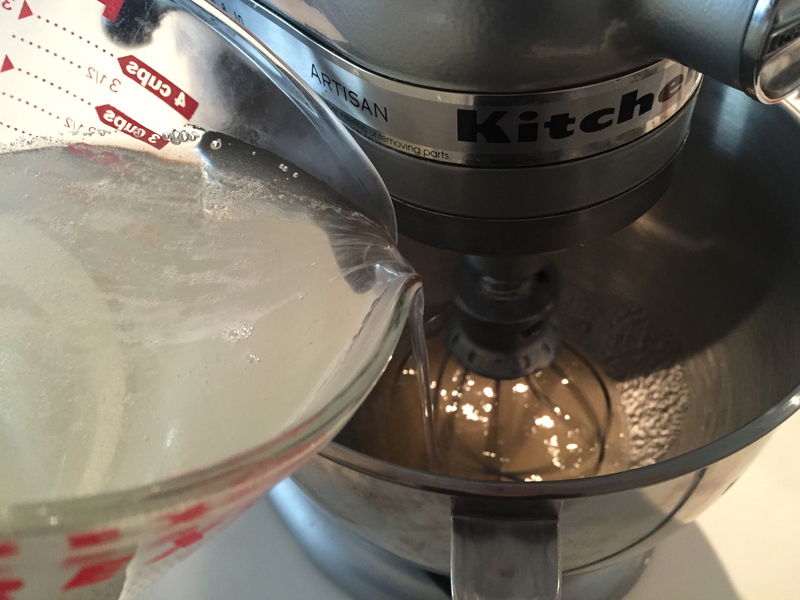 Fit your stand mixer with whisk attachment and pour in 1/2 a cup of water and sprinkle with the gelatin. Let the gelatin soak in. 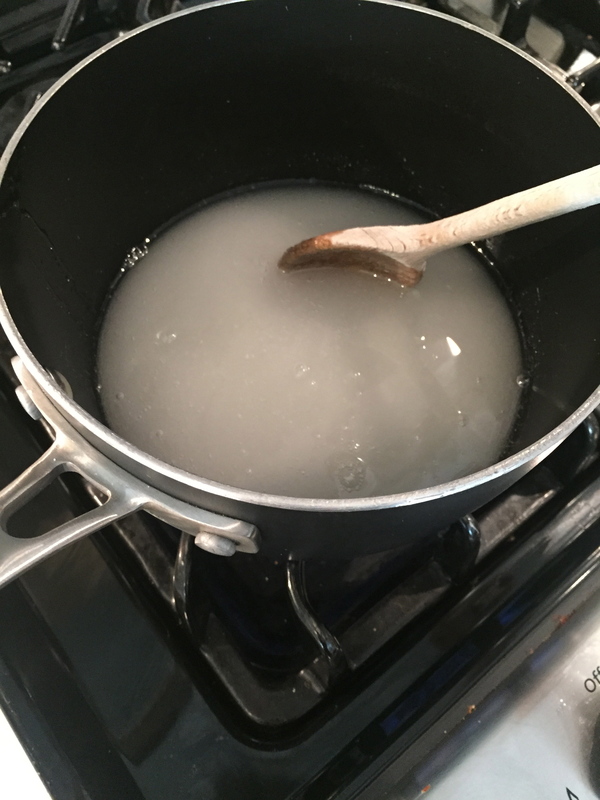 In a saucepan over high heat, add the sugar, corn syrup, salt and 1/2 cup of water. Bring it to a rolling boil and let it continue to boil for at least 1 minute. Remove from heat. Turn your mixture on low and mix the gelatin a few times so that you know it’s fully dissolved in the water. Slowly add the hot sugar mixture in to the mixing bowl and continue mixing on low. Turn the mixture up to high and continue to whip the mixture for about 12 minutes until that batter becomes super thick and triples in size. 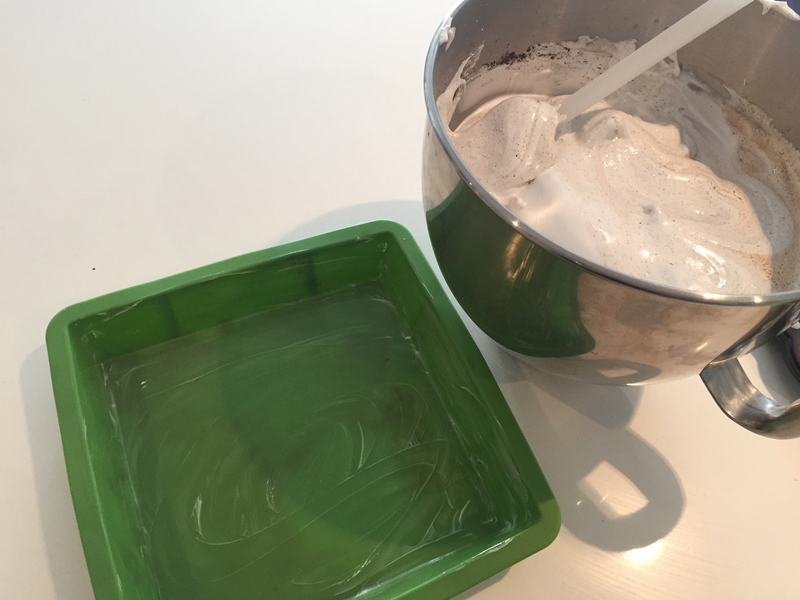 Transfer the marshmallow mixture to a prepared baking dish and use a spatula to spread it evenly. *work quick because this bad boy sets really quick and becomes super sticky and tough to work with. Grease a sheet of plastic wrap with butter and lay it over top of the marshmallow. Press down on the wrap to seal it smoothly against the mixture. The tighter the better. Leave the marshmallow to set. At least 4 hours or overnight (preferred). If you try to cut them before this, you will instantly regret it because they will be too soft and sticky. Sprinkle a good amount of icing sugar on a cutting board or counter. Invert the pan and pop the marshmallow out on to the cutting board. Rub another generous handful of the icing sugar over top of the slab to coat it completely. Cut in to squares and then roll them again in icing sugar. Well, I have to say…this was way easier than I thought and something I always wanted to try. I was soooo super excited to make my little buddy a hot chocolate and let him plop a marshmallow inside…and then when I tried to give him some marshmallows he had a full on Snap, Crackle and Pop type of tantrum because ‘No marshmallow mama, NO in my hot chocolate’. All that for Nuthin’. Oh well sucka…you don’t know what you are missing!! Ya win some…you LOSE LOTS!! Eventually he came round, once he saw husband and I enjoying ours. I can’t seem to get enough of your blog! The marshmallow recipe is devine!! Love, Love , Love it! Thanks for stopping by Patty, so happy you are enjoying it. I’m just starting out so really appreciate your kind words! !